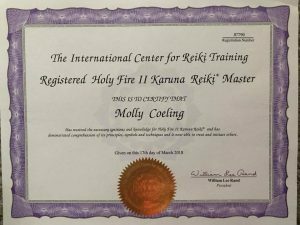 In March 2018 I traveled to Los Angeles to participate in Holy Fire Karuna Reiki® training. 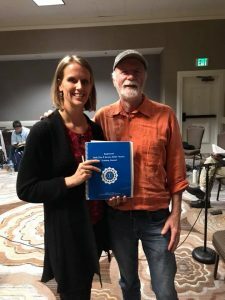 Not only did I have the pleasure of spending three days in sacred space with 29 other Reiki Master Teachers, as well as the honor of studying under William Rand (a humble superstar in the Reiki world), but I took my Reiki practice to another level and have all kinds of fun tools to play with. And so it is that I sit down to write this blog post. What is Holy Fire Karuna Reiki? 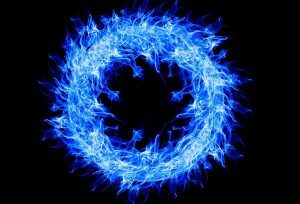 Holy Fire Reiki and Karuna Reiki® are actually two separate systems of Reiki, but the Holy Fire energy enhances the Karuna system. In order to become attuned Holy Fire Karuna Reiki®, you must be at least a Reiki Master Teacher (commonly referred to as Level 3 or 4, depending upon the teacher and lineage). They were both channeled and actualized by William Rand. Now, if you’re familiar with Reiki, or if you’re already attuned to some level of Reiki, you might be wondering how William Rand gets to invent his own Reiki systems. I wondered that myself. Wait a minute – there are multiple types of Reiki? If you are at all familiar with the origins of Reiki, you know that Dr. Mikao Usui first discovered the Reiki we are most familiar with in 1922 atop Mount Kurama in Japan. The story of how this insight occurred varies, but the general consensus is that it came to him as a sudden flash of insight, an insight which he did not at first understand but which later became clear – that he had been given the gift of a healing energy that is directly connected to the Divine, and that he should share this energy with others. Eventually he was led to teach Reiki so that its power could spread more quickly and widely, and so he began to do so by working directly with his students. Eventually he formalized a system of attunements and protocols in order to have a more standardized system. The Reiki that most of us in the West study is known as Usui Reiki (although there are a variety of different types of Reiki being taught today). However, Usui’s original system was changed first by Chujiro Hayashi, who then taught Madame Takata, who changed the system further. Most every Westerner who is attuned to Reiki is of the lineage of Madame Takata, and without her Reiki may never have reached the West. Now, back to William Rand and Holy Fire Karuna Reiki®. To make a long story short, William – much like Dr. Usui – channeled these two systems, first Karuna Reiki® over the period of 1993 to 1995, and later Holy Fire in 2014. He combined these two systems into Holy Fire Karuna Reiki®. What’s special about Holy Fire Reiki? Holy Fire Reiki is often experienced as a powerful cleansing or purifying energy by its recipients, who also report feelings of deep peace and healing. This is not so different from the Usui Reiki that I’d previously studied, but you might think of it as an even higher level or vibration of energy. One of the key tenets of Reiki is that it is not about the Reiki practitioner’s wishes but rather about turning over the healing to a higher power. I believe that higher power is present in each of us and that I, as the person sending Reiki, am simply facilitating a stronger connection to divine energy and allowing it to work with the recipient’s spirit for their highest good. In essence, any Reiki practice is about getting out of our own way and simply witnessing from a place of love and compassion. So far, as I have worked with the Holy Fire energy, I feel less of a connection to my ego’s desires (“Make her back feel better,” “Help her sleep better,” “Diminish his pain”) and more of a connection to the Great Mystery, if you will. 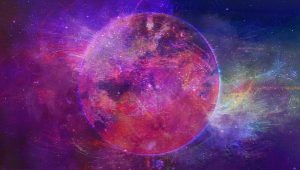 Karuna Reiki® brings one into a spiritual level of development that moves into compassionate action, which is the most essential part of spiritual life. To me, compassionate action stems from unconditional love for my fellow humans and all living things. When one lives from a place of compassionate action, to do for others is not a sacrifice, as there is a deep knowing that we are all one, and so to do for others is to love myself. Karuna Reiki® is standardized and trademarked in order to ensure consistency in training and practice. An important aspect of Karuna Reiki® are its eight symbols. Each symbol has its own energetic properties to be used as the practitioner is guided to use them. What can Holy Fire Karuna Reiki® be used for? Just as with any form of Reiki, Holy Fire Karuna Reiki® can potentially help with anything, whether physical, emotional, mental or spiritual. However, here are some specific issues that Holy Fire Karuna Reiki® can help with. Removal of spirit attachments. These might manifest as ongoing blocks in your life, that pattern or obstacle that you just can’t seem to get past. Gentle healing of subconscious issues, i.e. deep trauma, shadow self and self-delusion, karmic issues, past life issues. This includes child abuse and sexual abuse. How does my training in Holy Fire Karuna Reiki® affect the way I teach Reiki classes? My training in Holy Fire Karuna Reiki® connects my students, whether Level 1 or beyond, to a higher vibration of Reiki energy. It also takes further steps to remove my own ego from the attunement process, thereby providing students with a stronger and more direct connection to God consciousness energy. Attunements take action at the soul level, while placements and ignitions act at the spirit level. Soul houses ego, memories, skills and abilities, while spirit connects the soul to God or source energy. Spirit brings God energy to the soul. In practical terms, students become attuned to the Reiki energy via placements (or, for Master level and above, ignitions), rather than the traditional attunement process. So instead of the teacher intervening with the teacher physically moving from student to student to place symbols and conduct other symbolic rituals, the placements and ignitions open up a direct connection between the student and ascended masters, thereby removing the vibration of the teacher from the process. Students are guided into a place of receptivity, then given time to fully receive their own unique experience. Afterward students are given time to journal about their experiences, and, if they desire, to share with the group. For students who are already attuned to Usui Reiki, the Holy Fire placement will take them to the next level. That is to say, if you are attuned to Usui Reiki Level 1 (with me or with any other teacher), you can continue on to Holy Fire Reiki 2 training just as you would continue on to any other Level 2 training. You will still learn the symbols, as well as how to send distant Reiki; the only real difference is that you will be attuned to a higher frequency of energy, i.e. Holy Fire Reiki. As I continue my own personal healing, I bring a different type of presence into Reiki sessions and my work in general. This is the true gift of a sustained and ever-growing Reiki practice, and I am grateful to already be seeing the gifts of Holy Fire Reiki in my daily life. Hi Molly. I have enjoyed looking at your site. I am a HF Master living in Edinburgh. I am still learning about HF and do not really feel confident enough to practise it on my clients and keep to pure Usui. I was wondering if you could maybe let me know if you have had positive feedback from clients with HF? Hi John! Thank you for reaching out! So I’ve been practicing HF since March of 2018, and so far I’ve had positive results. Some existing clients remarked a notable difference, while others noticed less. For example, some of them actually saw fiery images and/or felt a different quality/sensation of energy during our Reiki sessions. In general, I feel HF has been helpful to me by facilitating another level of letting go of control during Reiki sessions and when teaching Reiki classes. I feel more supported with the HF energy. I hope that’s helpful!